Courtesy of Allie Beth Allman & Assoc., Frank Purcell. Architecturally significant custom contemporary on a wooded half acre lot in the heart of Bluffview. Designed by award-winning architects Bodron + Fruit and completed in 2014, this is everyone’s favorite clean-lined contemporary. Constructed of block limestone and steal framed glass walls, this special home features a light- filled, open floor plan that showcases art in a private park-like setting.Interiors are warmed with teak cabinetry, walnut floors, and floor to ceiling glass framing sylvan views. Kitchen and baths are clad in white marble counters and back splashes. Smart home automation includes automatic shades, art lighting, and home security.Serene and sleek. Perfect for lock and leave lifestyle. Please, send me more information on this property: MLS# 14019986 – $3,150,000 – 4603 Bluffview Boulevard, Dallas, TX 75209. 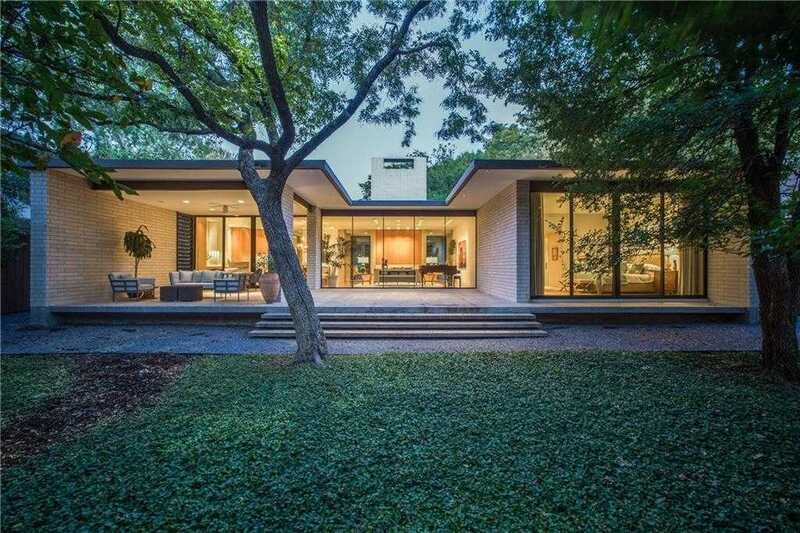 I would like to schedule a private showing for this property: MLS# 14019986 – $3,150,000 – 4603 Bluffview Boulevard, Dallas, TX 75209.